The Hague Primary and Infant School in Trelawny, which was built under the Government’s North Western Jamaica Schools Building Project, was officially opened on September 8, by Minister of Education and Youth, Maxine Henry-Wilson. The school, which was built at a cost of $240 million, first opened its doors to students in 2005. It has a full complement of 30 teachers and can accommodate approximately 1,300 students. For the primary section, there are 35 classrooms, a staff room, computer lab, a multi-purpose centre, a canteen and dining facilities, while the infant section has 10 classrooms. In her address, the Minister underscored the importance of education to the long term development of the individual, while impressing on the parents in attendance to make every effort to ensure that the children attend school regularly. “Education is the foundation of all lasting and sustainable opportunities,” Mrs. Henry Wilson emphasized. She said that the provision of the educational institution in the Hague community was one of the best things that the government could ever do for the people and their community, and encouraged the children to make use of the facilities. 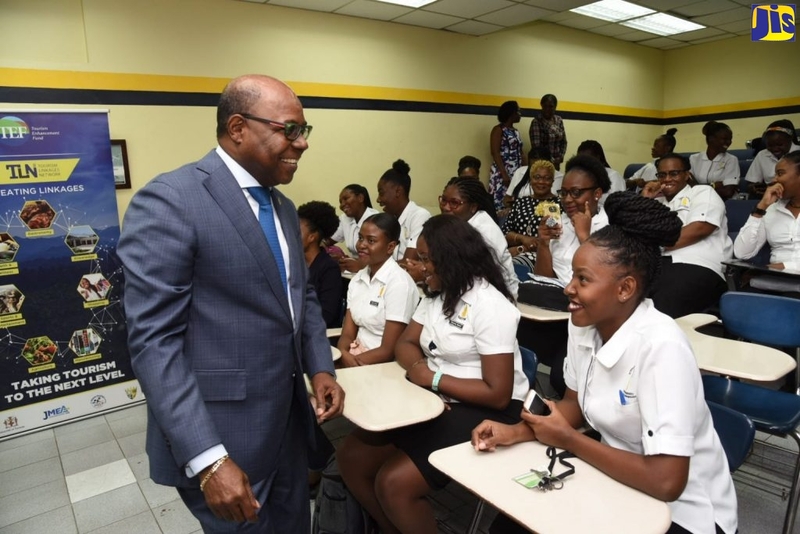 Minister Henry Wilson pleaded with the parents and guardians to give the school the same amount of attention they would give on achieving a new car or a new house. “In the same way I want you to care and protect this school. I want you to treat it as yours, I want you to cherish it, and I want the Parent Teachers Association to be one of the strongest organizations in this school, because if the parents are committed and the community is committed, then Hague will indeed be a centre of excellence,” she said. The Minister pointed out that serious consideration was now being given to enforcing “compulsory attendance at schools”, adding that within the Ministry, they were now looking at how this could be made a reality in even some pockets within the country over the next 12 months. She said that research has shown that the economic prosperity and self reliance of, and within certain communities across the country could be linked to the level of school attendance within those communities. “When we look at those communities, those towns, those parishes, where poverty is predominant, where jobs are not available, where the income levels are low, there is a direct relationship between children’s attendance at school over a period of time, and the ability of that community to be self-empowering,” the Minister noted.